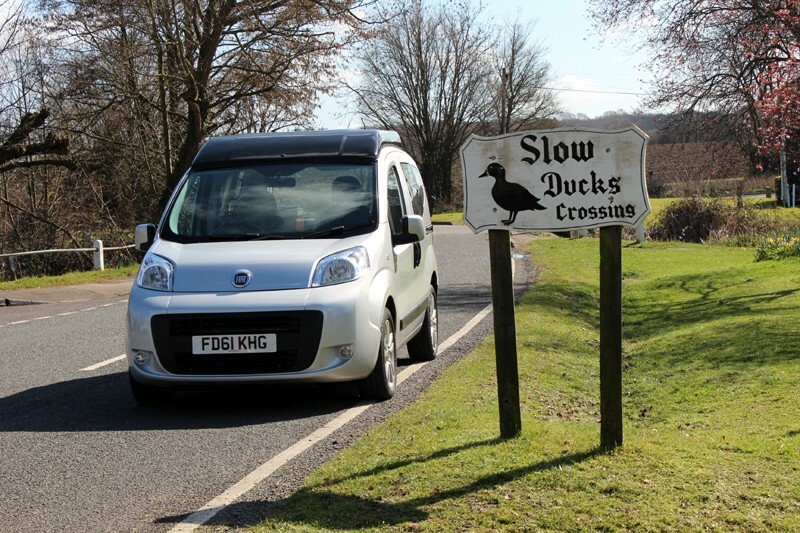 On-the-road from £29,625. with 1.4 litre petrol engine, diesel option. 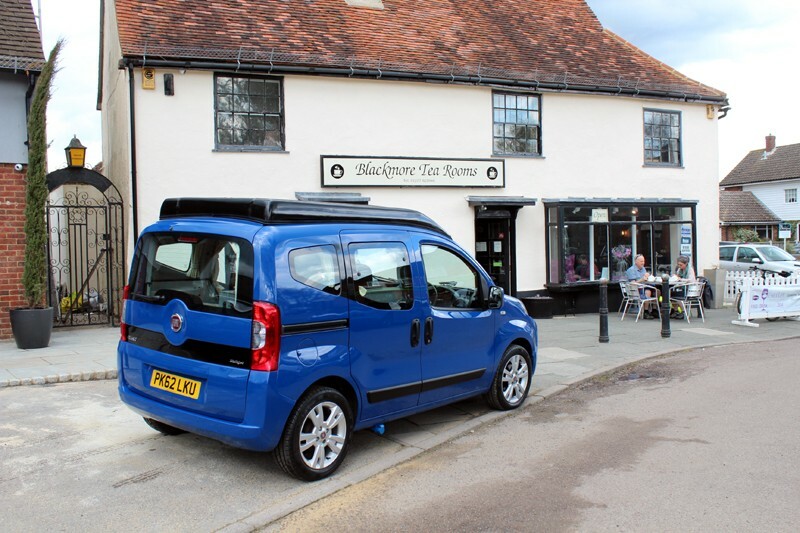 Price inc. V.A.T @ 20%, on the road charges and delivery to your home anywhere U.K. mainland, 2 years Fiat warranty (or 120,000 miles). 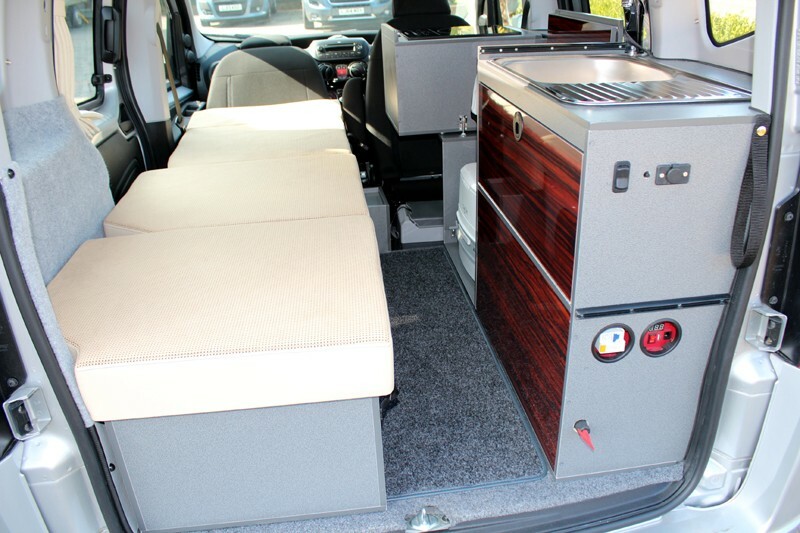 12 months Wheelhome warranty One single bed, two belted travelling seats (in cab). Electric Induction hob cooking system complimented by electric oven/grill/toaster or microwave, running from built in Inverter. Two stylish storage pods that lower down from within the roof. 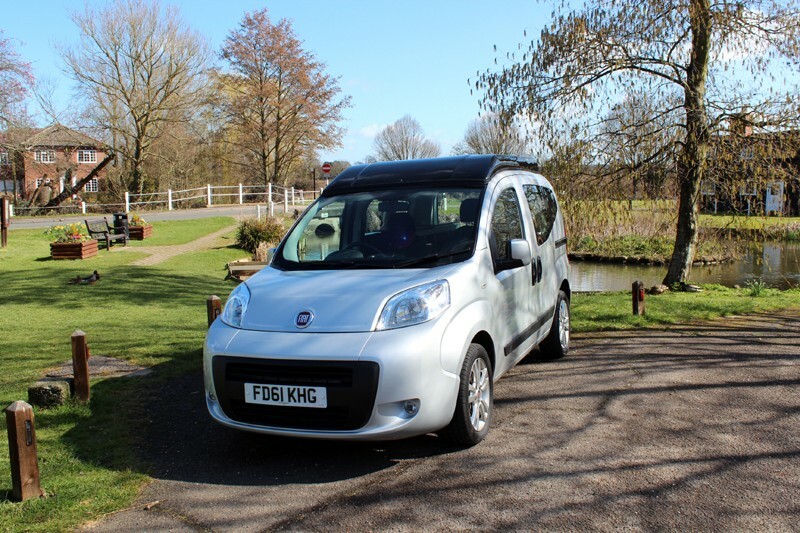 The above prices are for a brand new vehicle, however, most Vikenze II models will be built on low mileage Fiat Qubos with diesel engines of 1-4 years of age. 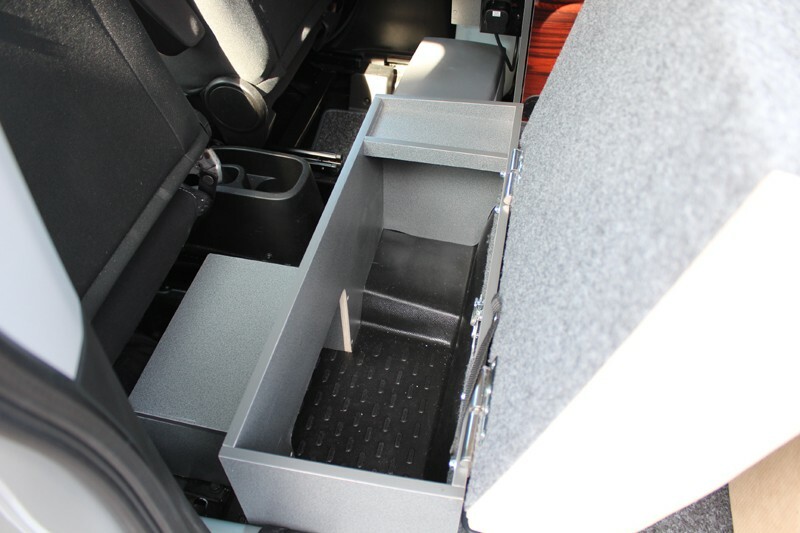 They will be sold with 12 months warranty and are a great way to get a higher-spec vehicle for significantly less cost. Please contact us for further information. 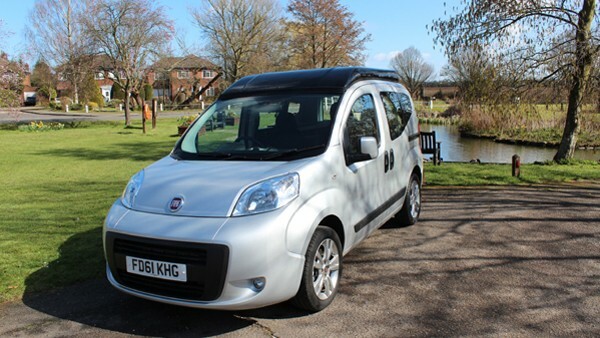 VIKENZE II on Fiat Qubo (most to be built on used vehicles with considerable savings). 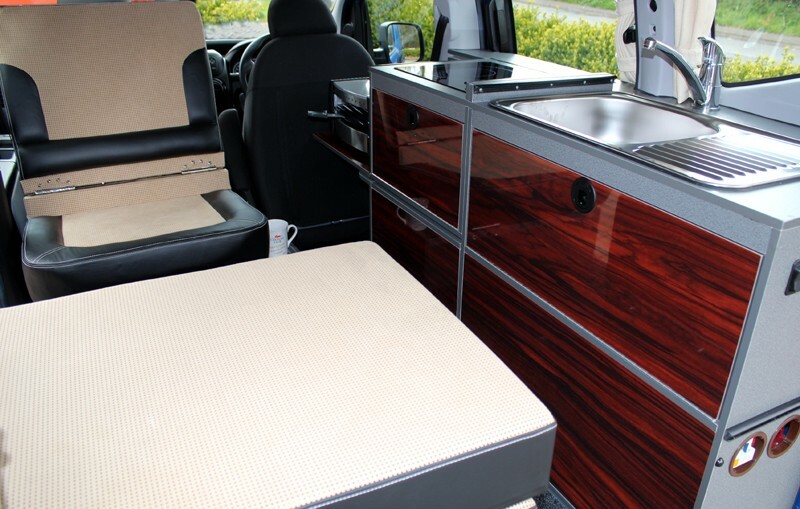 The Vikenze II is a dedicated single berth camper that has been designed for one person to go camping with as much comfort, convenience and ease of use as possible in a compact vehicle that can also do double duty as an economical little car with two seats for travelling in the front only - although there is room for a friend to join for a cuppa when on site! 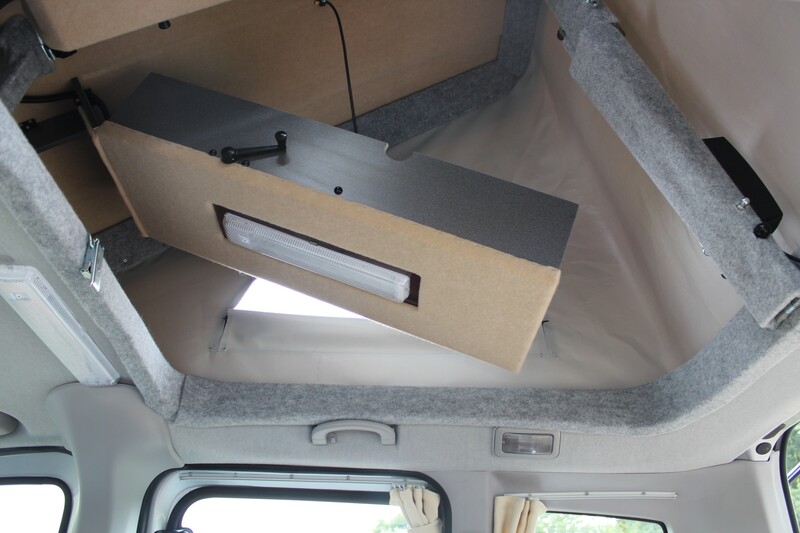 A Tailgate awning is available from Khyam.co.uk with or without sleeping compartments. 50+ MPG is quite achievable with the diesel engine and road tax of only £30 a year. Vikenze II provides all - electric cooking as per our Skurry, it is therefore, gas free! 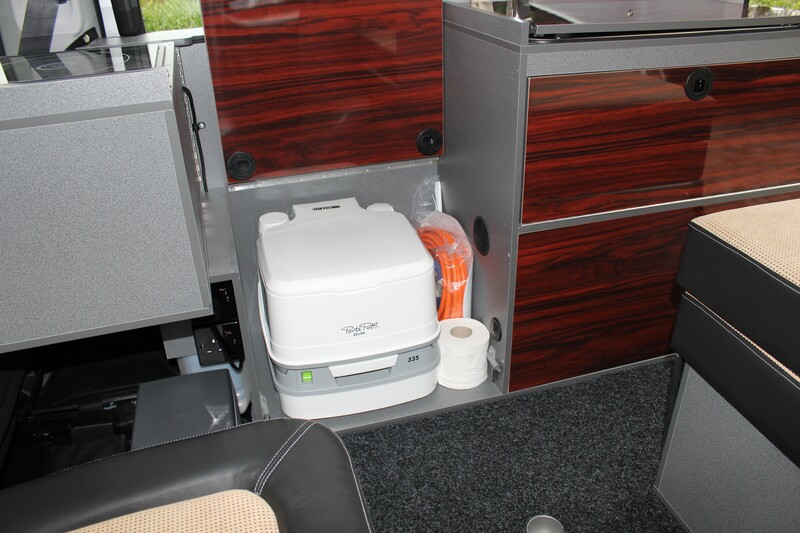 Access to all facilities at night time is assured, including the Porta Potti. 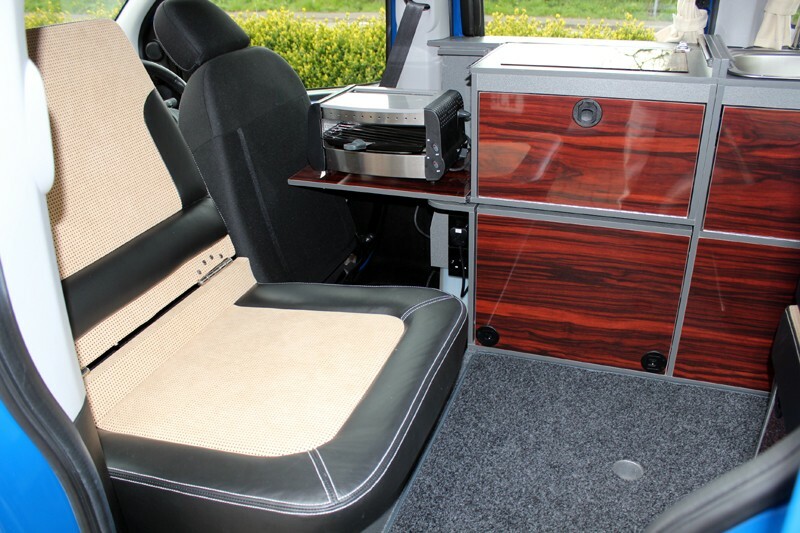 Quality is of a high order - offering leather/Alcantara seating, high gloss furniture, also the design and equipment itself. Prices include V.A.T @ 20%, on the road charges and delivery to your home anywhere U.K. mainland, 3 years Fiat warranty and 12 months Wheelhome warranty. 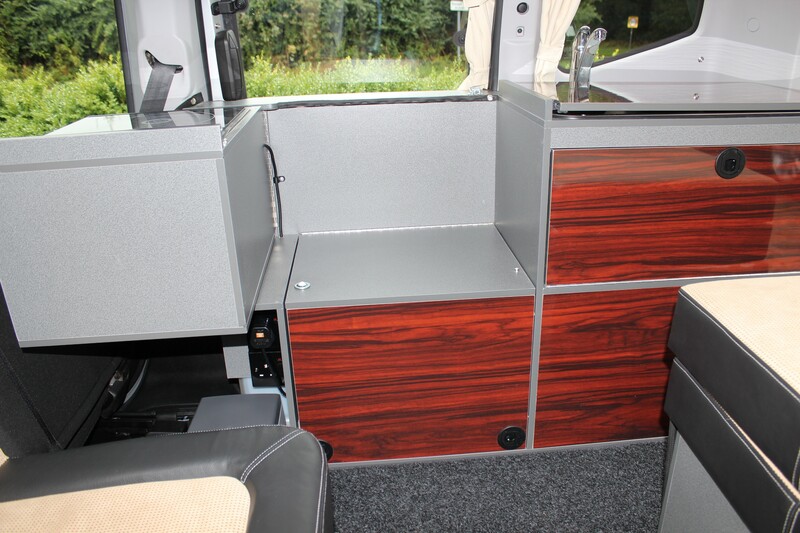 Oh, and of course at only 6’0” high it is garageable and easily goes under the two metre height barriers! 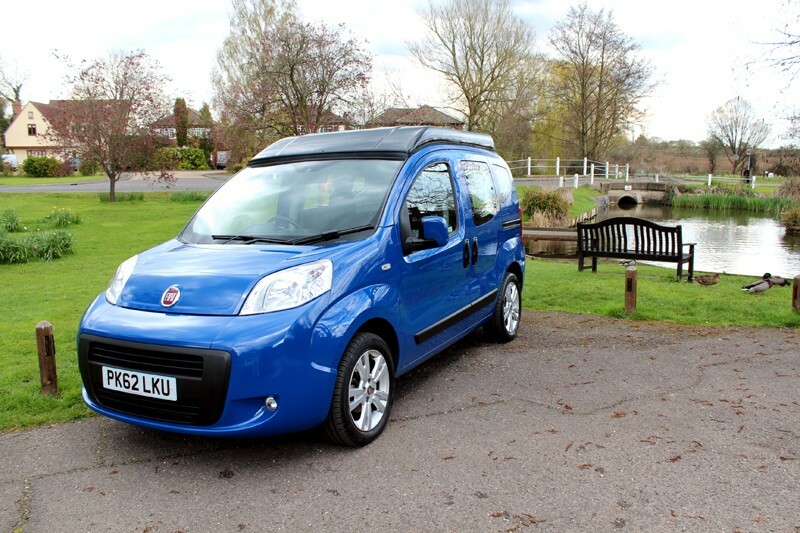 Std vehicle specification; Fiat Qubo. 1.4 ltr petrol engine (diesel option). Body coloured bumpers. Air conditioning. 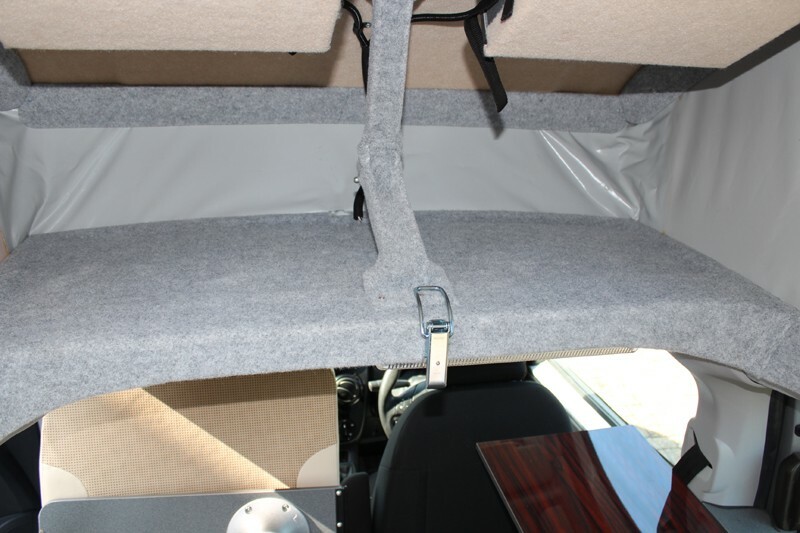 Anti-lock brakes (ABS) with EBD. Power steering with adjustable steering column. Electrically operated windows and door mirrors. Remote control central door locking. Tailgate with heated rear window and wash wipe. Radio with CD player. Driver’s seat height adjustment. Flat tyre aerosol inflation kit. Driver’s and passenger airbags. 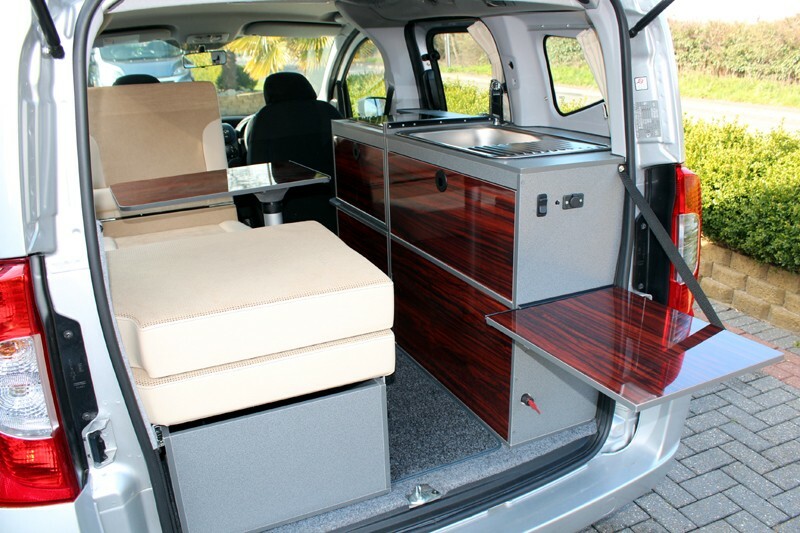 Camping spec; The Vikenze II is a two seater car. When travelling the rear (lounge) seat is “tipped up”. 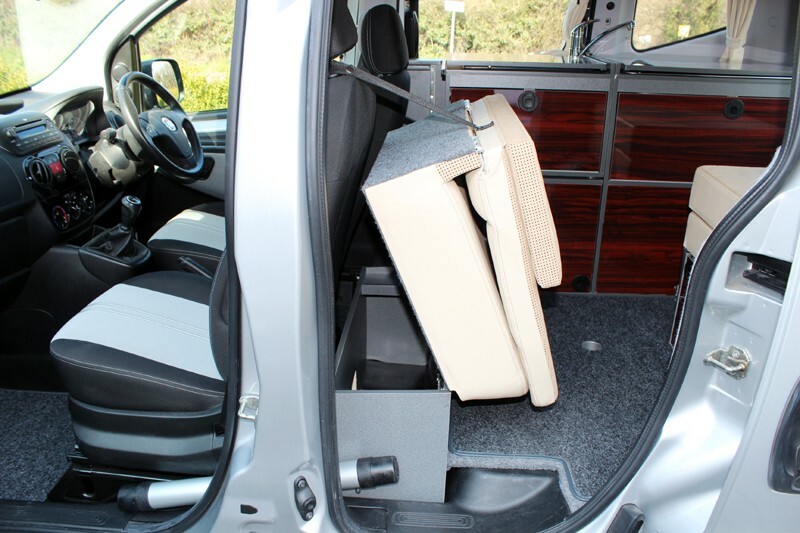 Upon arrival at the campsite the cab seats slide forward and the rear seat lowers down into the space (an easy 30 second job). 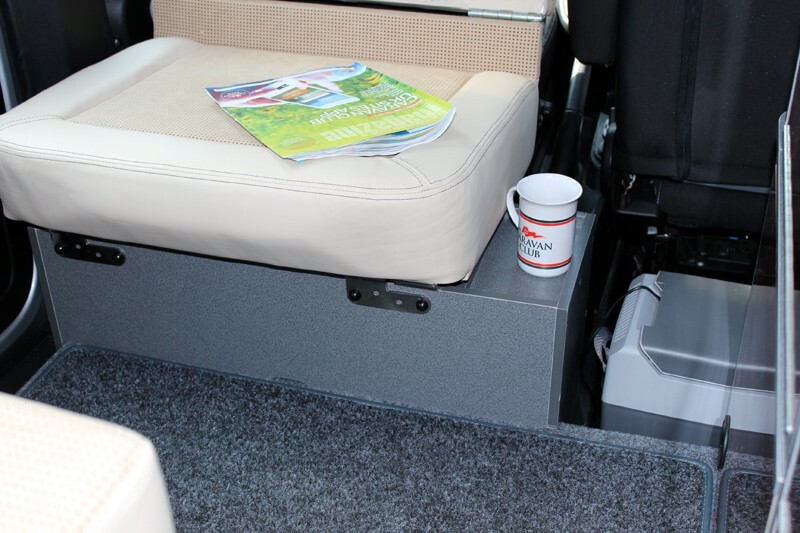 This seat is rather special as it is extremely comfortable - it even has an adjustable recline, and thus provides what we feel is the most comfortable “camper seat” in it’s class, or pretty much any class! Unique Wheelhome cooking and electrical system. 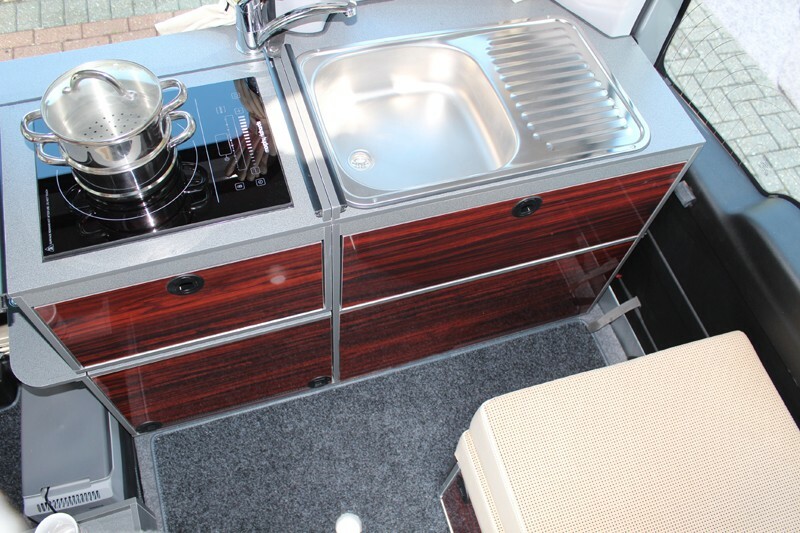 Vikenze II has a unique to Wheelhome, Independent all electrical cooking set-up which includes an Induction hob and an oven/grill/toaster, which runs from an Inverter, or campsite hook up. What is an Inverter? A device that cleverly changes 12 volts from the very high capacity auxiliary battery into 230 volts. Therefore many mains voltage appliances can be used to cook your meals, such as the built-in Induction hob and oven/grill/toaster, plus a sandwich maker or kettle. How long will the battery last? 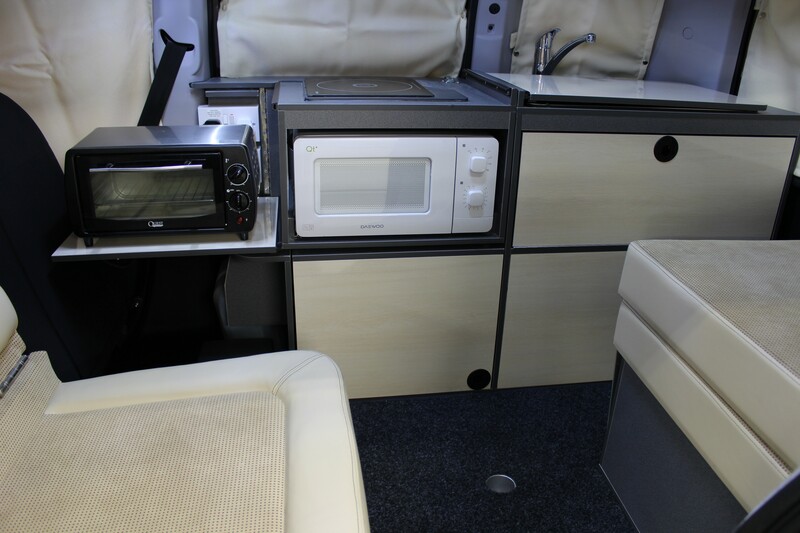 A fully charged auxiliary battery will provide power to cook an evening meal of boiled potatoes and vegetables on the Induction hob, using a steamer set, and grill sausages etc, and then breakfast in the morning plus hot drinks before needing a re-charge. In other words, an overnight stop without hook up. 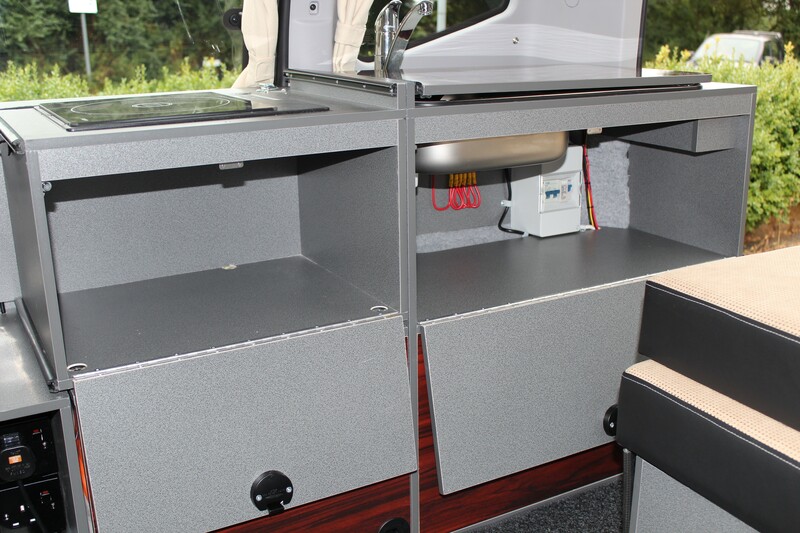 Vikenze II has a very special automatic and greatly enhanced battery charging system that will typically re-charge the next day as you tour around in only 1-2 hours. Note; This battery is entirely independent of the engine-starting battery. Induction hobs are a fast and efficient cooking system with instant heat control. So, Vikenze II has no gas! Meaning no heavy gas bottles to lug about, no naked flames (good news on a hot day) silent, smart - and easy to clean. What’s not to like! Porta Potti. 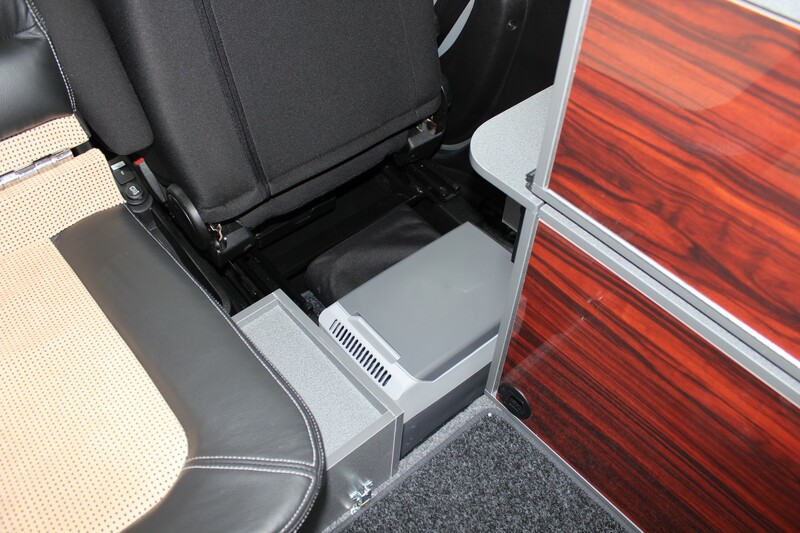 The hob is set into a section of the kitchen unit that swings round at night-time to reveal un-rivalled access to the Porta Potti, which is left in place for use. 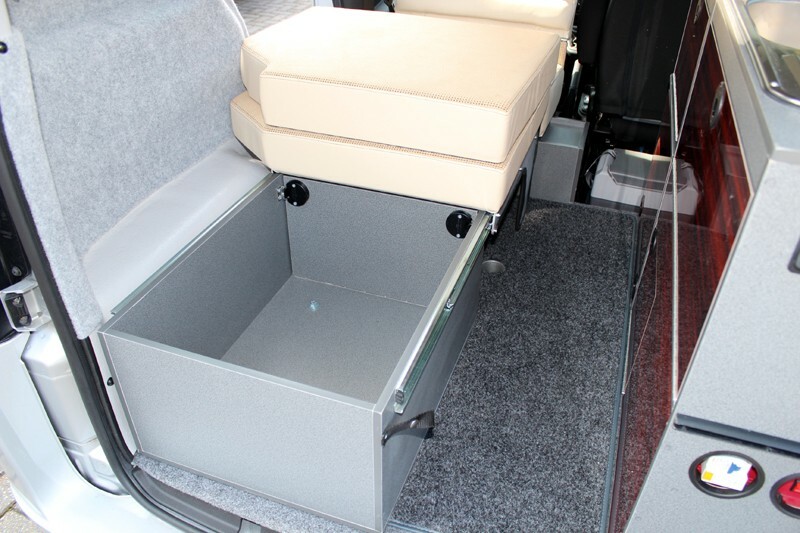 Fresh water storage is a removable 10 litre ( 2.2 gallon) Jerry can, conveniently accessed through the off-side sliding door. The water is electrically pumped to the stainless steel sink and drainer. 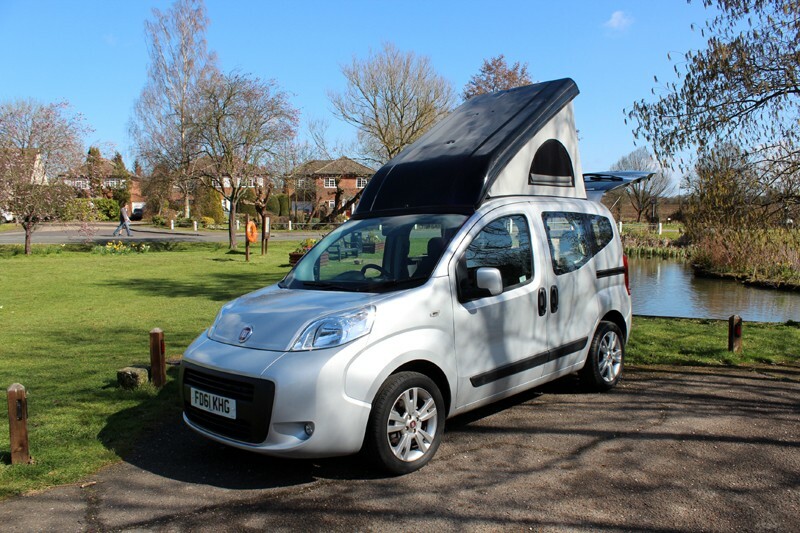 Electrically operated elevating roof raised effortlessly, incorporates large vents and smart, wind-down roof storage pods - ideal for folded clothing. The roof can be lowered whilst wet and aired later. The sink/drainer cover doubles up as the table on a island leg. Additional worktop/shelf that can be placed on the front or rear end of the kitchen unit to give useful extra work surface. 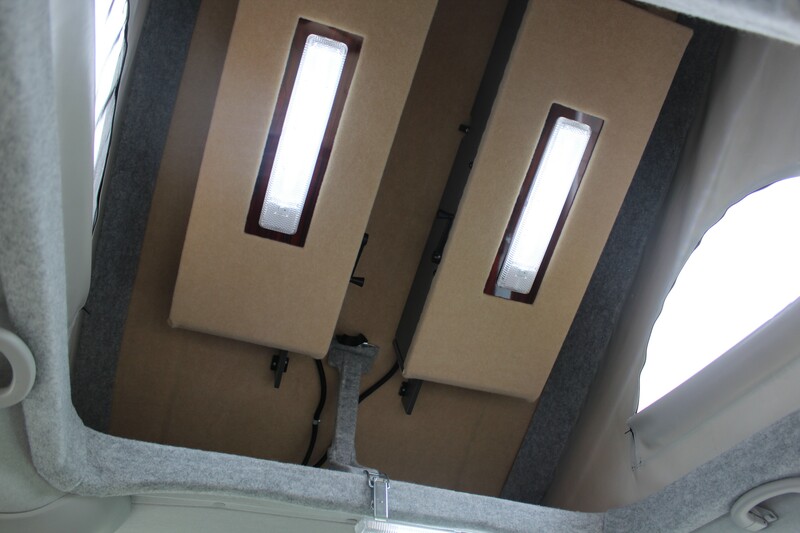 Three LED interior lights. Fitted and lined curtains. Thermostatically controlled 7 litre Waeco thermo-electric cooler. Full set of floor mats. Width; 1.81 metres (mirrors folded in). Bed; 1.93m (6'3") x 0.66m (2'2"). Rear seat travels "tipped up"
It's like having two aircraft "carry-on" suitcases. Microwave can be build in, with oven being portable. Vikenze II comes in "line blue".